Visit Fiberboard Jackets on our Main Site! 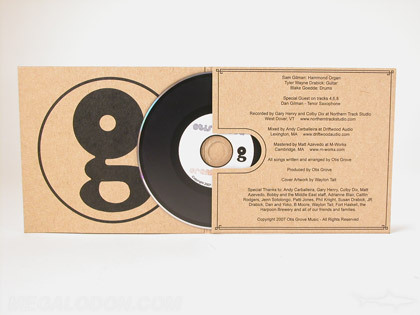 DVD Replication Packages with Eco-Friendly Fiberboard DVD Sleeves / DVD Jackets. Printing 4C or even 5C (spot or flood white). Fiberboard is a great alternative to standard coated stock. Use it when you want your title to have a natural, organic look. Fiberboard is unbleached, end of chain pulp material and has a brown, textured look and feel. Printing includes 4C (cmyk) colors, or you can do 1 or 2 PMS spot colors. Be aware though that the base material is not white, so colors are the same as if printed on white paper. Fiberboard press proofs (additional cost) are available to see the color if needed. Spot white, or flood white, 1 or 2 hits, UV cured, can also help brighten colors and make them pop! See our special page on spot white ink on fiberboard packaging, setup and examples. Jackets can have a variety of options such as die cut pockets or knockouts, extra pockets (multi disc sets or extra literature), foam hubs, paper trays (100% recycled content, cork hubs),diagonal literature pockets, business card slots, custom modified thumbholes, etc. If you don't see the cd package you're looking for, please ask, these are just the most frequently asked for packages! Other Folder Type Product, such as Extra Wide Panels, Tall Panels, More Panels, etc. Use Project Notes below. Designs are easily modified -- we manufacture printed packaging from scratch, so it's easy! If you don't see a variation that fits your needs, it's not because we can't do it - we've just run out of room on the web page! Feel free to click one of these items below, and/or use the project notes box to describe your project needs. Even better than reverse printing, this puts full quality printing on some or all inside spines.